Age, the circumstances of life, illness, or an accident can all act to deprive a person of the will or ability to handle his/her own affairs. Generally, being recognized as a legal adult brings with it the right to make key life decisions related to finances, medical care, where to live etc. Retaining these rights requires a person to be competent; otherwise, the State could intervene and appoint a guardian to assume some or all personal and financial duties adults normally perform themselves. 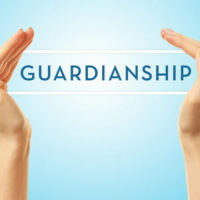 When used appropriately, guardianship is an important tool to guard against harm and exploitation happening to an incapacitated individual, but numerous stories in the news, including an article in The New York Times, indicate that this process is not always used in the right way. Guardianship is a big shift in the ability of a person to control his/her life, and should be used when other alternatives are not enough to address the situation. Often, making this determination is a fine line, which is part of the reason a court must first declare a person to be incompetent before a guardian may be appointed. Competency may appear to be easily discernible, but that is not always the case. A discussion of the signs that indicate a guardianship may be necessary, and how courts evaluate an adult’s competency to make decisions, will follow below. Guardianship is a process most often associated with elderly adults, but it may be applied to anyone who is vulnerable and incapable of making reasoned decisions. The mental decline that comes with age, dementia, and Alzheimer’s are the most common issues that deprive a person of his/her mental capacity. Signs that competency is a concern usually emerge gradually, making the identification of an issue challenging. However, unusual bank transactions, the unexpected sale of property, and the appearance of a new, and often much younger, friend/confidant in the senior’s life commonly point to financial exploitation. In other situations, self-care may become a problem, and the individual poses a safety risk to him/herself by failing to take necessary medication, leaving the stove on, falling, or being unable to purchase or make food. At this point, most realize help is needed, but some may require more convincing, and in this case, a guardian may need to be appointed to ensure the person receives the proper care. A three-person committee, usually composed of two doctors and one other health professional, evaluates the individual’s ability to care for him/herself, make the decisions of daily living, or handle his/her finances. If it finds the person lacks capacity, a guardian will be appointed, unless the court finds a less restrictive alternative. The powers of the guardian will depend upon the person’s infirmity. In other words, guardianship does not always encompass all areas of a person’s life, and could be limited to either property or the person. This brief overview cannot convey the full complexity of these proceedings, but it does illustrate the need to contact an experienced guardianship attorney from the beginning to ensure the scope and extent of the guardianship is correct. Guardianships are sometimes necessary, but the rules and regulations of these arrangements are complex and easily triggered. If you have questions about guardianship, talk to the attorneys at the office of Joyce A. Julian, P.A. in Fort Lauderdale. With our knowledge of guardianship law, you will receive the advice you need to operate within this process appropriately and legally. Contact us today for a free consultation at (954) 467-6656. 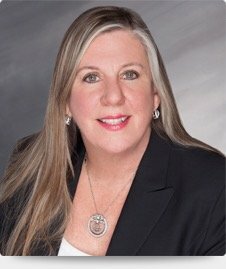 Joyce Julian has been working in Florida courtrooms as a judge, magistrate, and attorney for over 30 years, serving the people of Fort Lauderdale and surrounding Florida communities in and around Broward County. © 2016 - 2019 Joyce A. Julian, Attorney at Law. All rights reserved.